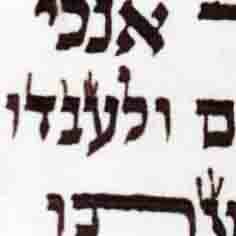 In Igros Moshe Orach Chayim 4:9 (pg. 14), it discusses in brief the importance of having all the mezuzahs and tefillin parshiyos the same ksav. 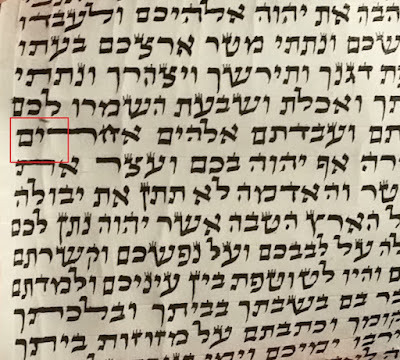 In there it was specifically referring to ksav Beis Yosef not being mixed with Ksav Arizal (where one main difference is the letter tzadik) and that it would be pasul mdin menumar. I am interested in any marei mekomos that discuss the issue of menumar for mezuzahs. Is this law of having the same mezuzahs a hiddur or chumra or mi-ikur hadin - for within the Igros Moshe it uses the wording posul mdin menumar? Also would there be a bigger issue when there is Beis Yosef follower using non Beis Yosef ksav in some mezuzahs (or Tefillin) or would it also apply within Sfardic ksav with Arizal? Of course, all ksavim are kosher and good, but I am asking strictly in regards to menumar. the above quote is in parentheses. It is a very big chidush, Reb moishes followers accepted it as it was written.I once had a beis yosef parsha where the alefs were written as arizal. Reb Dovid Feinstien was asked and he answered "I don"t know if my father would of passuled such a minor difference"
There is no inherent halachic problem with having a house with a mix of different mezuzos. While my Chabad and other Chassidish customers all want Arizal, and my Litvish customers all want Beis Yosef, I have a very large customer base of people who are not makpid either way and have ended up collecting, over the years, a mix of Arizal and Beis Yosef. ksav mezuzos in their homes and businesses. I have always asked if there is any halachic problem with this and have NEVER been advised by any respectable posek that this is - in itself - a problem. Having Sephardic mezuzos in an ashkenazic home is a different issue altogether. 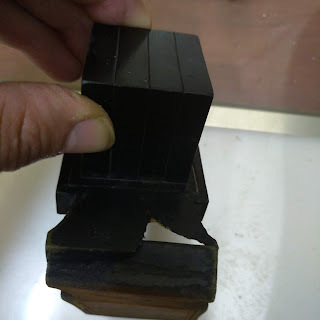 However by tefillin, it seems unanimous that lechatchillah it should all be the same ksav, and to mix Arizal and Beis Yosef within the same set of tefillin is not mehudar. There are many teshuvos about this, most notably the Yabia Omer and the above mentioned Igres Moshe. For Chabad, I once asked Rav Landau about mixing Arizal and Alter Rebbe ksav in the same pair of tefillin and was advised that it is a non issue. Personally though, I find it is a bit unprofessional to mix,even if it is halachically sound. Certainly by mezuzos it's not a worry.